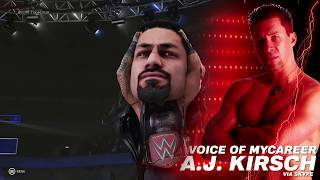 #WWE2K19 PRE-RELEASE | INTERVIEW WITH THE VOICE OF MYCAREER A.J. KIRSCH! #WWE2K19 Pre-Release | SUPER CENA STRIKES AGAIN! #WWE2K19 Pre-Release | MIZ… WTF?! Post-Wrestlemania 33 – The Truth. On the wrong end of 20, living in London. Avid gamer, wrestling fan and movie buff. #WWE 2K19 Pre-Release | Pete Dunne & Tyler Bate BIG HEAD BOIS!